The visit to the surgeon was interesting, to say the least! Both hips were examined and pain confirmed on both – and restricted painful movement. It also appeared that the right leg, with the hip replacement was longer than the left leg. X-rays were taken in the Gold Coast Hospital Outpatients Clinic while I waited – great service – thanks guys! The x-rays confirmed the arthritis in the left hip and this is going to need replacing. Severe oestolysis around the hip – tissue damage. Bone erosion (gone totally) for several centimeters below the collar on the inside leg side. Damage to the bone on the outside leg side – mottled and insubstantial-looking. 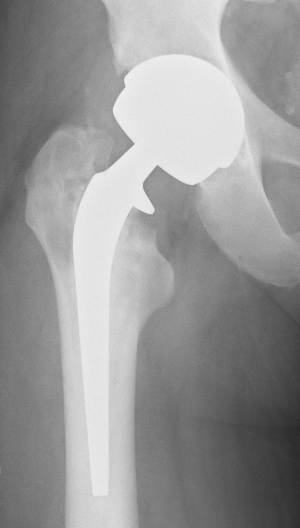 Signs of movement of the femoral stem of the hip implant – lines down either side and possible bone damage – the cement contains ceramic and this can then act as a grinding past as the stem moves. This has the potential to release more metal ions. These signs of movement may explain the feeling of “popping in and out” that I feel – but without dislocation of the hip prosthesis. No cement plug had been used – the surgeon deduced this from the CAT scan I had taken with me. The failure of the original surgeon to use a cement plug was confirmed when I got my surgeon’s notes a couple of days later. Failure to use cement plug meant that the ceramic-polymer cement had gone about twice as far down the centre of the femur as it should have – must have had dramatic consequences for the marrow that was killed/displaced. Also failure to use a cement plug had most likely meant that the glue was not forced back up against the femoral implant stem – hence gluing would not have been tight around the femoral stem. My new surgeon was extremely scathing of my hip replacement – “very shoddy job”, but maybe he was just having a bad day! I was sympathetic to his views, however! 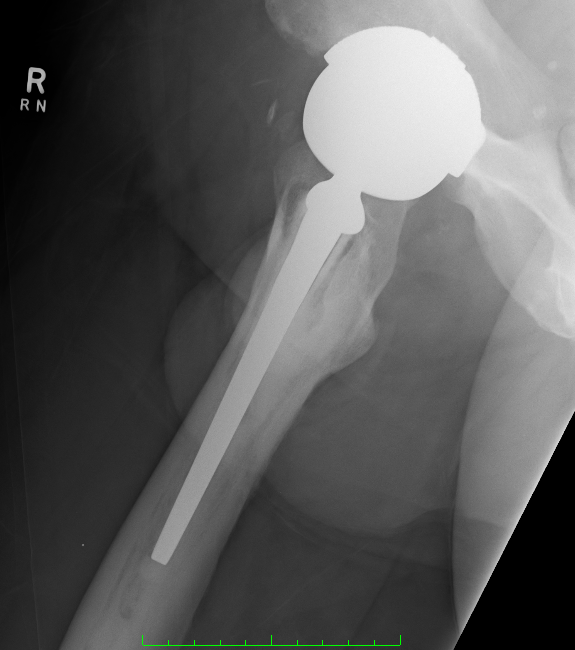 One of the most disconcerting things was the observation that the hip replacement components could not have been stainless steel as told to me by my original surgeon. This was confirmed with some detective work when I got hold of my surgeon’s operating notes. So, I was sent off for more blood tests for the cobalt and chromium ions. These should be back next week. I had blood tests taken by my local doctor two weeks ago but for some reason, the local pathology laboratory takes up to 4 weeks to do these tests, whereas the hospital can do them in about a week. I was also referred for a ultrasound-guided aspiration of the fluid around the hip – this should happen in the next few weeks. If the fluid is gray this will automatically confirm the metallosis. A 50 year old man with inflammatory arthropathy of unknown aetiology with a slightly dysplastic right hip and severe pain. There was a formal synovium lying over the acetabulum particularly in its inferior aspect and there was marked thickening of the capsule both anteriorly and posteriorly. Osteophytes at the acetabular rim anteriorly and at anterior aspect of femoral neck. Spinal plus general plus urinary catheter. A standard posterior approach was made with release of the insertion of the deep part of gluteus maximus, identifying the sciatic nerve. The short external rotators plus quadratus femoris were taken down and the capsule of the hip joint excised as completely as possible from the posterior approach. The hip was then dislocated. The femoral neck was sectioned using a saw. The acetabulum was reamed down to cortical bone and 3 or 4 cement holes were inserted. The cup was cemented in satisfactory position. The femoral shaft was prepared and the appropriate femoral component was cemented in satisfactory position. Reduction was achieved and was stable once the osteophytes mentioned above were removed and the thick anterior capsule excised. A Stryker was inserted and deep tissues closed with heavy Dexon with nylon to skin. Tulle gras, gauze, Gamgee, elastoplast dressing. IV fluid, analgesia, anti-emetic, antibiotics as charted. 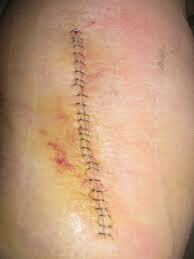 Discharge 7 – 10 days with removal of sutures as appropriate. See rooms at 6 weeks. Warfarin to commence on evening of surgery and ultrasound done day prior to discharge. Femoral: No. 2 femoral, distal centraliser, +4 52mm Birmingham head. Copious specimens were sent for histology. When is Stainless Steel NOT Stainless Steel? Answer: when it is Cobalt Chrome! On Surface Hippy (see http://www.hipresurfacingsite.com/) I found some interesting stuff – see this PDF [Click here] – which is a PDF of what is found here [Click here]. 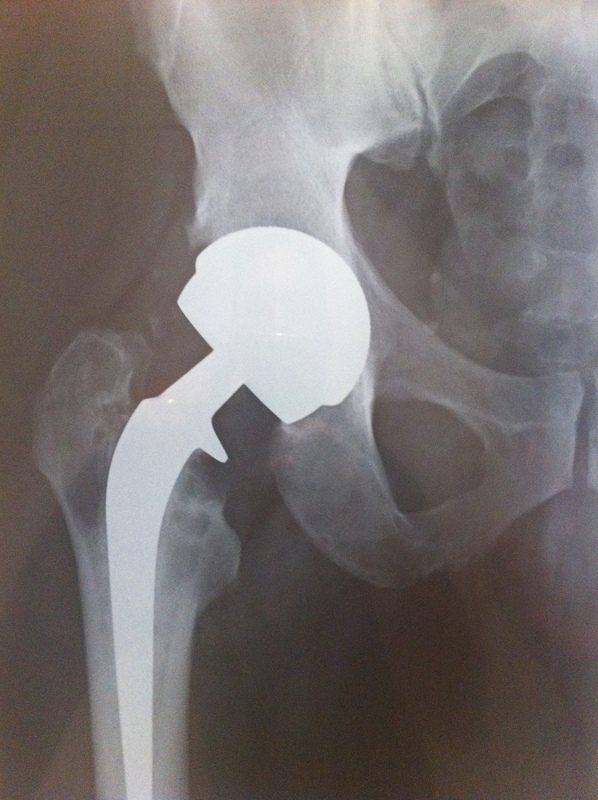 The Birmingham Hip Resurfacing (BHR) prosthesis is a metal-on-metal hip resurfacing prosthesis. The device consists of a stemmed femoral head resurfacing component designed for cemented fixation, and a hemispherical acetabular cup designed for cementless, press-fit, fixation. Both components are manufactured from high carbon, as-cast, cobalt chrome (CoCr) alloy (ASTM F75 and ISO 5832-4). The acetabular cups are configured in standard, dysplasia, and bridging designs. All acetabular cups have a single layer of integrally-cast CoCr-alloy (ASTM F75 and ISO 5832-4) beads on the outer surface that are coated with hydroxyapatite (HA) (ASTM F1185). 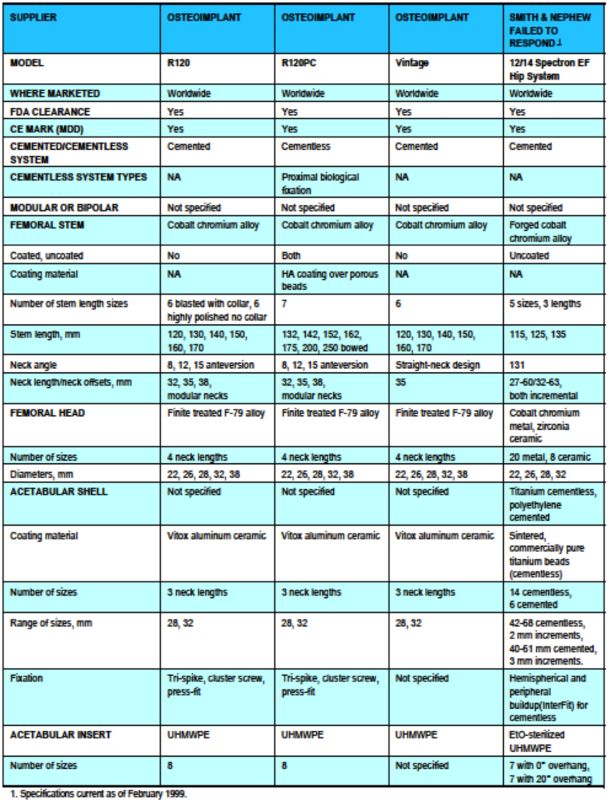 Instrumentation sets are provided as standard; several additional instruments are available as options. But I got lucky and found another site put together by Patricia Walter in 2006 http://www.hipsforyou.com. 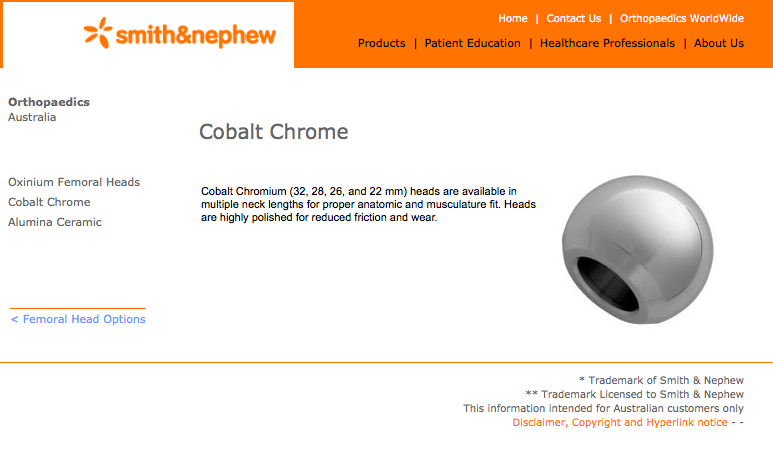 Here I found further confirmation of the Cobalt Chrome nature of my replacement hip components. In particular this page [click here] had the information I needed – and I immediately recognised the shape of the femoral stem prosthesis. Take a look at the Spectron cemented revision system for total hip replacement by Smith & Nephew or you can download the three pages as a PDF here [click here]. According to this page: The SPECTRON◊ cemented revision system has a proven track record of over fifteen years. The revision femoral stems contain the same features that have made the primary SPECTRON◊ stems clinically successful. is comprised of 21 implants in various stem lengths and head/neck offsets. 1 Malchau, H.; Herberts, P.; Prognosis of Total Hip Replacement, Results from the Swedish National Registry, A Revision-Risk Study of 134,056 Primary Operations. 1996 AAOS, Atlanta. BUT: looking more closely – it is not for Metal on Metal – it is for the Spectron system with a poly (plastic) acetabular cup – or that is how I read it. The thing that is confusing to me is that I have had severe bone and tissue damage around the Smith & Nephew Spectron femoral stem device – so how does this work? 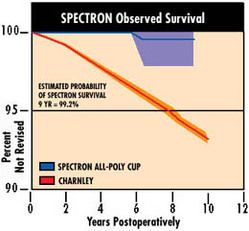 “Estimated PROBABILITY (my emphasis) of Spectron survival 9 YR = 99.2%. Nothing quite like the old “estimated probability” to give favorable results- but maybe I am just a miserable cynic? 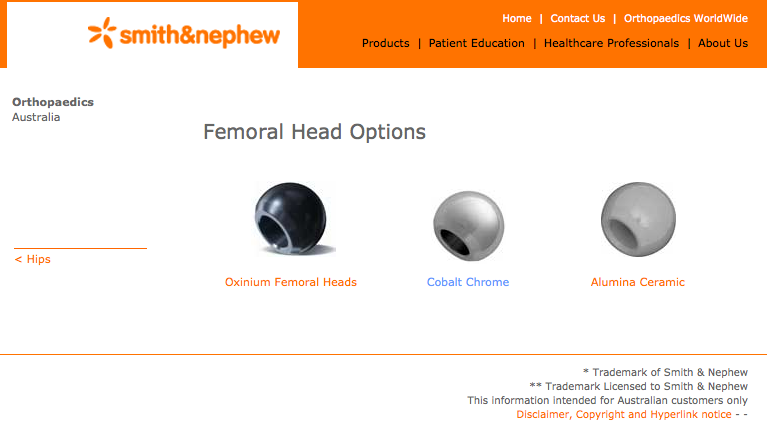 So I finally have found the Smith & Nephew site here www.bhrhip.com. With metal-on-metal systems, the cap (ball) and the socket components are made from highly polished metal. The BHR System is a metal-on-metal system. 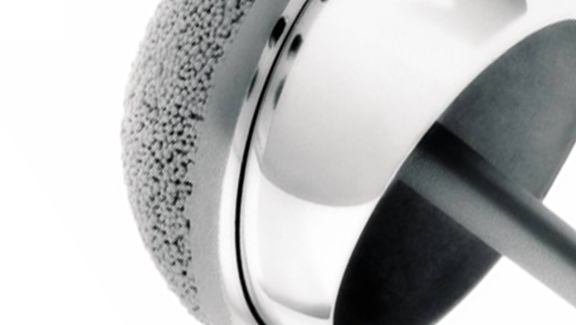 Other hip systems can have a metal ball with a plastic-lined socket (metal-on-plastic), or a ceramic ball with a ceramic-lined socket (ceramic-on-ceramic). 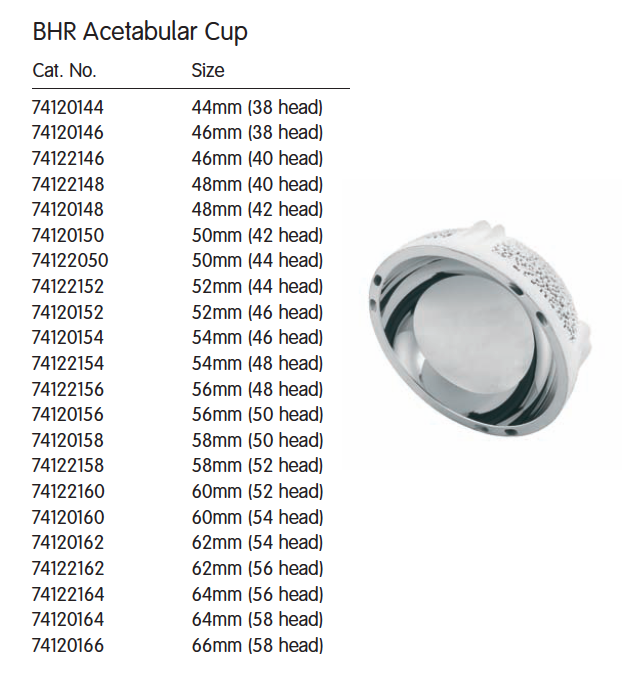 • The BHR’s metal cup will not chip or crack as ceramic components can. • The BHR does not cause thighbone (femoral shaft) fractures as total hip replacement systems can. o The BHR acetabular component is provided in a one- and two-piece design. o The potential benefit of a one-piece design is that there is no risk of unintentional component disassembly. 5.0 What Are Some of the Potential Risks of the BHR Device? Blood circulation problems because of surgery or during recovery including blood clots in the legs or lungs or heart attack. Surgical wounds that take a long time to heal due to many reasons such as poor skin condition, infection, poor blood circulation, bad hygiene, etc. Damage to the bones and tissue (tissue necrosis) near the hip joint, including loss of the surrounding bone (osteolysis) or staining of the hip joint fluid (metallosis) due to wearing away of the metal parts over time. Bone loss or too much bone formation near the implants in response to the surgery or to the presence of the device in the bone. Increased hip pain and/or reduced function. Temporary or permanent device related noise such as clicking or squeaking. Inflammatory tissue response to high levels of wear debris resulting in peri-prosthetic aseptic lymphocyte dominated vasculitis associated lesions (ALVAL), fluid collections, or soft tissue masses (Pseudotumors). These potential adverse effects may require medical attention or additional surgery. Rarely docomplications lead to death. Overall, reading the brochure you are left with the feeling that the BHR resurfacing system is one of the better ones on the market – the Australian Orthopaedic Association collect studies for all hip replacements in Australia and it seems that the BHR system is one of the best – here is the summary of the data off the Smith & Nephew site [click here]. Where is my total hip replacement system? Despite quite a few days looking I cannot find one place where the combination of my hip replacement components is fully detailed. Very frustrating! The SPECTRON cemented revision system has a proven track record of over 15 years. 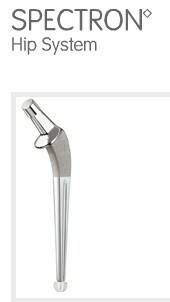 The revision femoral stems contain the same features that have made the primary SPECTRON stems clinically successful. Circulotrapezoidal Neck — provides increased range of motion compared to a circular neck of the same strength. Anterior/Posterior Grooves — increases rotational stability without increasing cement stresses. Trapezoidal Stem Cross Section — ideal stem geometry to minimize tensile stresses and aid in compressing the cement under load. Longitudinal Stem Taper — allows the stresses to be distributed throughout the length of the implant and enhances compressive loading of the cement. Forged Cobalt Chrome Material — material of choice for cemented stems to reduce stem fractures and minimize generation of third particle debris. The system is comprised of 21 implants in various stem lengths and head/neck offsets. 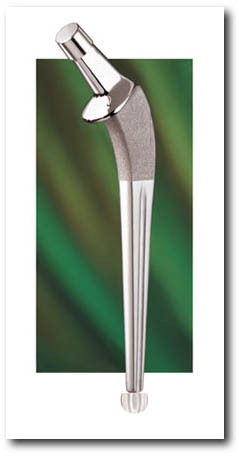 Long Straight Implant — designed for revision of femoral distal defects such as holes, windows, or fractures around the end of the previously implanted stem. Neck Replacement Implant — In addition to the indications for the Long Straight implant, the Neck Replacement implant can be used in both primary and revision arthroplasty where bone stock is deficient to the neck area due to femoral neck fracture or failure of a primary stem leading to resorption or destruction of the calcar area. The instrumentation is designed for a broach-only technique with a minimum number of procedural steps. This makes for a simple, straightforward surgical technique that is highly reproducible. and ISO 5832-4) beads on the outer surface that are coated with hydroxyapatite (HA) (ASTM F1185). Instrumentation sets are provided as standard; several additional instruments are available as options. Total Hip Replacement has been a revolutionary surgery in orthopedics. Millions of people, attained pain free mobilization following this surgery. However, with the conventional hip replacement there are reservations about this procedure in relatively younger people because of the amount of bones to be scarified and need for reversion surgery later on. Hip Resurfacing Surgery (BHR Surgery) has come as a boon for younger patients, resulting in very little bone loss and almost normal unrestricted movements and functions following this procedure. This can also be done in relatively older patients (up to 65 years) if bone stock is good and there are no other contraindications to Surface Arthroplasty of Hip. 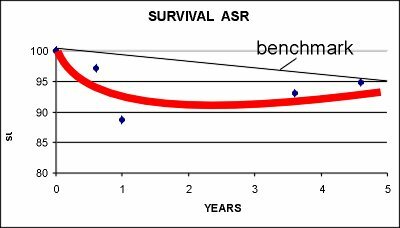 Certain criteria must be met for suitability of Surface Arthroplasty such as BHR / ASR. Lateral head-neck remodeling; (Loss of contour of lateral head-neck). Short femoral neck < 2 cm. Poor head to neck ratio. The outstanding problem in conventional Hip Replacement is the young active patient with an arthritic hip. The problem is worse if the patient is male (higher loosening rates with THR), has an active job and wishes to play sport or engage in physical activity to keep himself healthy. The BIRMINGHAM HIP Resurfacing System (BHR) is the global market leading hip resurfacing system with over 60,000 implantations worldwide. Introduced in 1997, the BIRMINGHAM HIP Resurfacing System was designed using knowledge gained from first generation metal-on-metal total hips and a thorough understanding of hip resurfacing principles. Indraprastha Apollo Hospitals, Delhi has pioneered in many Orthopaedic procedures like Hip and Knee Replacements and specialise in BIRMINGHAM HIP Resurfacing & Disc Replacements. It seems that the total hip replacement was my only option – and Metal on Metal was probably selected due to my age and expected life time between replacements – and I am over 100 kg too. The scientific article from which the table has been taken is really well written and informative – download the PDF here [click here]. R. Stephen J. Burnett, MD, FRCSC, Dipl ABOS. Total hip arthroplasty: Techniques and results. BCMJ, Vol. 52, No. 9, November, 2010, page(s) 455-464 — Articles. and finally found out information about the Smith & Nephew Spectron Hip implant system. You will notice in this table that Smith & Nephew did not respond – I am left wondering if the paucity of information on the hip implant I have is by design? This doesn’t totally make sense as I know I have a cobalt chrome acetablular cup cemented in. Can’t help but wonder if I got given “old technology”. Maybe NZ is a great place to get rid of excess stock? I have located this website which is peppered with useful snippets of information: http://www.totaljoints.info/total_joint_home_page.htm. New information on mteal on metal surface and total hips is an avalanche with new and controversial data being published almost every day. What was true yesterday is not valid today. Ten renowned British orthopaedic surgeons, among them three Professors published recently a report of our present knowledge, but also ignorance of influence of high blood levels of metal ions on patients with metal on metal (MoM) hip joints implanted. The reaction may be either local allergy reaction on the presence of even small amounts of wear particles or a direct toxic effect of a high concentration of wear particles around the MoM artificial joint. The incidence of cancer is not higher in metal on metal joint patients, but the follow up even in the latest series is actually only eleven years on average, too short for cancers where the latent perion is 20 years at least. So further surveillance should be continued. Both implant size, implant position, and implant’s design are important. The authors recommend continuous controls of blood levels of cobalt and chromium serum (!) levels in patients with symptomatic (painful) MoM joint. “The identification of high serum levels of metal ions is an indication that the hip is functioning poorly” say the authors. What are the “high serum levels”, however, is defined by different authors differently. So, not much help here. United Kingdom Health authorities put this level (“cut off level) at 7 µg/L for both cobalt and chromium, other authors recommend 4 µg/L as cut off level. Not to say that the levels depend on the measurement method and the measured issue (whole blood, serum, erythrocytes). The patients with MoM should be followed annually for the first five postoperative years, thereafter the annual follow up should be reserved for “symptomatic patients” only. The authors conclude that “favorable outcomes can still be expected” in young, strong, otherwise healthy male patients with relatively normale anatomy of the hip joint. Seems to me you must be really healthy to have a chance to by operated on with MoM hip. But if you are healthy why to have a MoM hip joint implanted? 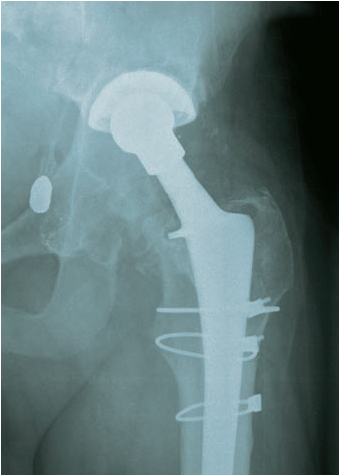 Although the modern surface hip replacement is in use since 1990’s, we are still lacking reliable reports of efficacy of this arthroplasty spanning over ten years and longer. The British National Institute for Clinical Excellence postulated a “benchmark” for good results of hip arthroplasty. The hip arthroplasty operations should have less than 10% failures during the ten postoperative years to achieve this benchmark. The Dutch surgeons started a search after published reliable statistics over results of Surface Hip Replacement (SHR) surgery (van der Weegen 2011). They found 540 published articles that were relevant but after closer study only 29 articles contained usable information about the results of SHR operations and surface hip models available on the market just now (2010). Some curious results appear from this report. For example: Although the SHR patients worry about their high blood levels of metal ions there is no published report about the relation between high metal blood levels and results of the SHR. The reason: to measure the blood levels of metal ions is expensive and all such studies are done on a small number of patients. It follows that the reports either contain information on SHR results of many patients or the blood levels of the few patients but never both data simultaneously. On the market there are today (2010) eleven different models of SHR devices but results (of different quality) of their efficacy were as yet published only on five of them. 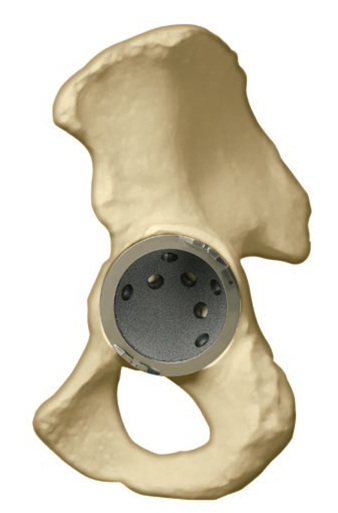 Most reports were published on the Birmingham Surface hip Device (Smith & Nephew) -13 reports. Other devices with reported results are the ASR device (DePuy, now retracted), Conserve Plus (Wright), Cormet (Corin), and Durom (Zimmer). The survival of SHR reported in these published articles was better than the benchmark for all studied devices but for the ASR device. This device was meanwhile withdrawn from the market. For comparison here follow two diagrams depicting the published results of two SRH devices, the Birmingham Hip Replacement and the ASR replacement device. Diagram shows survival of BHR devices as reported in thirteen articles. Note that no report followed the patients up ten or more years. Of the 13 reports, only one showed survival worse than the benchmark (one point under the benchmark line at 6.5 years). Diagram shows survival of ASR device as reported in four articles. All reported survival figures lie under the benchmark line. This is an example of an “improved device” that failed. Remember that behind these figures there are many patients with severe pain and other sufferings after failed SHR surgery with wrong device. What is the responsibility of surgeons who “invent” such a products and that of the manufacturers (DePuy in this case) who manufacture and sell such products? This reports shows on the positive side that the majority of published results on the efficacy of the SHR show good results in the first eight postoperative years. On the negative side the report shows that the majority (6 out of 10) devices on the market have no published report about their efficiency. Be careful what type of SHR device you will be offered. This report does not contain any information about the selection of patients suitable for SHR surgery. This was the first time I had met the private orthopaedic surgeon and I was very pleasantly surprised at his openness, approachability and professionalism. We reviewed my X-rays and confirmed the osteolysis and bone loss. The health of the bone at the top of the femur is a concern and I am going to have a nuclear medicine bone scan tomorrow morning to see what is going on with the blood flow to and around the bone. I had a biopsy taken later in the day at the hospital and there was not much in the way of fluid – more a greyish fibrous capsular type of tissue – now with the pathologist. The movement of the prosthesis, or lines suggesting movement within the femur where obvious (it seems?). Regardless, the hip pops and clicks in and around audibly a few dozen times a day as I move, standing and sitting. 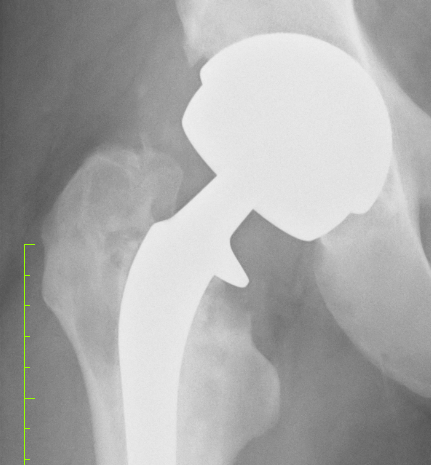 So – bottom line, for whatever reasons, this hip is not performing and so the surgeon is intending to remove it in a few weeks and put a lovely Smith & Nephew Ceramic on Ceramic hip in its place. 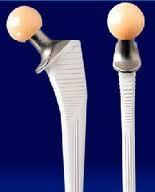 Another option for extending the life of your hip replacement is ceramic on ceramic. 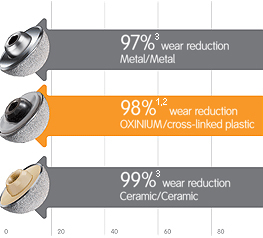 These implants reduce wear by 99%3 in laboratory testing when compared to traditional metal on plastic. 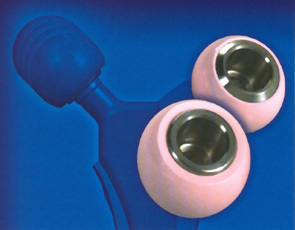 With ceramic on ceramic hip replacements, both the ball and socket are replaced with ceramic. These implants have an excellent reputation for reducing wear, but have limited flexibility in design options due to manufacturing limitations of the ceramic material. Therefore these implants are not suited for all patients. Talk with your surgeon about this technology and if it is right for you. It is going to the a biggish operation as the press-fit acetabular cup will have to come out and a bone graft will be required to fit the new cup plus a few trusty screws.. .
And then he will need to dig out the femoral implant but the way it looks that should come out very easily – but he will then have to dig out the old cement and the cement that spewed down the femur when the last surgeon did not use a glue cup. A longer femoral stem will be required and he may get away with a press fit – time will tell. So tomorrow – bone scan and then back to see the surgeon Thursday 28th July…. Bone Scan went well – no major necrosis issues highlighted. Well time flies when you are having fun! Or so my late Dad always used to say – I figured it passed whether it was fun or not! I went and had my final meeting with my surgeon today and we had a good review of all the things that were most likely to happen on the day – 1 Sept 2011. He has put the afternoon aside – no golf that day! will take about 3 – 4 hours. Open up the hip – have a nice handy road map (read scar) from the last operation. Split the femur – effectively take the top off – like a convertible roof on a sports car! Dig out the femoral prosthesis and all the excess glue from the last surgery as the original surgeon did not use a glue restriction cup. Wire the femur back together again. Then most likely press-fit the revision femoral stem which will be a little longer than the stem used first time round. And it will be flanged – a Zimmer implant. Then the next step will be to dig out the acetabular cup – which is press fitted in – despite the original surgeon’s notes saying it was cemented!!! Most likely there will be a need for a bone graft or some form of packing & screws for the new cup. Then in goes the ceramic insert and femoral head – presto; a new man! Will probably be staples not sutures as it will be harder to hold together with the normal dissolving sutures – unless he uses non-dissolving sutures – but they hurt on removal as I recall from last time! LOL. Will have 1 – 2 drains – the more the better from what I have read. May need to have a transfusion – getting cross-match done on Wednesday. Will have some of my own blood recycled too. Cather up the old fella – won’t have to worry about passing urine for a few days! Pain relief will be intrathecal morphine – and a pain pump once I am back in the ward. Had a long discussion about opioid induced constipation and agreed that I would get lots of stuff to help along the bowel motions – and some medication to offset this effect. However, there won’t be much action for about 3 – 4 days I am certain! Will be given Clexane (low molecular weight heparin) for about a month via injection – much better idea than Warfarin I had last time – all those blood tests and calculating what dose to take! The normal stay in hospital for a revision is around 7 – 10 days but I will be keen to make it shorter – but the extent of the operation and the need to get some stability back in the hip may slow things down a little. A few weeks on crutches is likely. So I will keep you all informed with my trusty camera and laptop! Had some new X-rays done today – two months since the last ones – seems to me that there is more osteolysis and bone loss – possibly some fragments but I am not a medical doc and I haven’t discussed these with the surgeon yet. Will do on the day of the surgery. What is interesting is 3 radio-opaque spots showing up in the pelvic area – not sure what those are. Quality of the photo’s below – OK for an iPhone 4 shot of the X-Rays held up by my son against a white background! Will be taking iPhone and laptop to hospital to send you all the holiday snaps! And these X-rays are much more modest that the last ones! Yes – that’s right – got to do something while recovering from the next two hip replacements! I totally agree with the gent who said you may have a PhD opportunity in all your research. What I suggest to you Earl is, GET ON THE FIRST PLANE HEADED FOR LAS VEGAS SO I CAN INTRODUCE YOU TO MY SURGEON!!! You are still far too young to be dallying with all this nonsense from an incompetent doctor! Shame on your first physician for taking such risks with YOUR body. I do hope some day we meet. Thank you kindly for your words about my issues. You are your best ally and never forget that. It seems to me you’ve done your due dilligence but now the $64,000 dollar question is…. WHAT NEXT?? I’m in the process of writing 2 memoirs, one about my son being born brain damaged, the other about my healing. I’ve been in talks with a producer from LA who wants to combine the two and make a big screen movie out of them. That way I can reach the most people in need of the information I have to share. At the least dear Earl, you should be writitng a memoir. It’s half written anyway! LOL I’ll be interested to find out what the good doctors of New Zealand have in store for you to correct this. I will keep you in my prayers. You sound like a lovely man with a wonderful family. Oh, and thank you for dressing up my post with pictures. I am volunteering at my doctors, so on Thursday when I see him I’ll show him your post and what you did for me! Thanks again, and I hope things are better for you soon. Please stay in touch! (It’s awesome to actually see a picture of someone who has read my writing. PS are you on facebook? I don’t have your last name to look you up but you have mine, friend me so we can stay in touch! thank you so much for your words – Las Vegas sounds like fun in more ways than one! It was great to read your blog – I could not believe that one person could go through so much and still have the focus and purpose you clearly have! I posted about my trip to the surgeon on my blog tonight with some x-rays. The new surgeon is a really nice and smart guy! I have decided to be Mr safety conscious and I am going for a ceramic on ceramic – made by Smith & Nephew – the makers of my current one – but they have one of the best overall track records, despite my problems and ceramic may squeak one day but it won’t poison me! I am on face book and have set up a group on face book too called “total hip replacement news” my address is http://www.facebook.com/earl.stevens2 and I am on skype too earlstevens (simple huh!). I am so pleased you are pleased! I am off to have a nuclear medicine bone scan tomorrow and back to the surgeon next week – hopefully having my revision in August. I have linked your site to mine on blog roll and I will keep checking in! Excellent work. Fascinating reading. I am a 44 year old male who has endured two THR’s in the last three months (the most recent two weeks ago). I have found your work to be particularly useful in setting me to look out for certain events during recovery. I admire your tenacity in completing this narrative particularly when considering your circumstances. Thank you very much. Thanks so much – I thought I had been through a bit but your journey sounds like hard work – you must be limping around a little like me at the moment? I saw my surgeon yesterday and he is pleased – there is a lot of new bone growing around the new prosthesis which is great considering the old S&N metal on metal one was killing the bone off! PS – if you have documented your journey I would be happy to publish it. your story is very like mine except I had a Smith and Nephew RHR (THR) metal on metal. I was 50 and 53 years old when I had my hip done and then revised. Your body is telling you that it is being damaged – the elevated chromium and cobalt is evidence for a blind man that suggests that your hip prosthesis has been out of alignment and wearing and producing metal wear particles – which will be destroying your bone and surrounding tissue – hence the pain. Possibly one part of it is loose if you have the grinding? These sort of problems occur with all types of metal on metal when they don’t fit properly. In my case, my hips are slightly displaysic and so the surgeon did not compensate when he fitted the hip, I suspect. You are right – it feels worse than the arthritis before you had the hip replaced. Exactly what I though. The only way to fix this is to get a hip revision – I can happily testify to the effectiveness of a Zimmer revision system – ceramic on ceramic – my bone grafts have taken well and I have lots of new bone growth – instead of the bone and tissue death I was getting with the S&N Birmingham Spectron MoM THR. If your current surgeon won’t do anything, ditch him and find an honest one who will admit to the problems everyone is having – and get it replaced. For some reason, many surgeons seem to think “holding rank” and not criticizing their colleagues is more important than patient health. Check whether he is receiving payments from the orthopaedic device companies and is morally compromised. Whatever you do – don’t worry, there is a very simple solution and the relief you will feel when you get it out is fantastic! I know! Yes – you probably have referred pain. I’m so happy to have found your blog! I live in British Columbia, Canada and had a Zimmer Durom Cup replacement about 5 years ago. I’m 46 years old. I had my right hip replaced approximately a year and a half ago but not with a Zimmer implant as by then, they were no longer being used. Last week I participated in a University of British Columbia study where I underwent an MRI and Ultrasound on my left hip. I also had Trace Element Blood tests which the results will be available in about a month. The study is basically to determine if ultrasound technology is as effective as MRI in diagnosing cysts and pseudo tumors as MRI’s are less available and much more costly. Now I’ve received a call from my surgeon’s office telling me he wants to see me. I believe I have a pseudo tumor and am worried I’ll need a revision. I don’t experience much pain however, I do experience slight popping or clunking occasionally in the joint. Your blog has been most informative. I am quite anxious about what my surgeon is going to say! I will write back once I see him. I’ve spoken with several others who’ve had major complications with the Zimmer THR and there are two class action lawsuits that I’m aware of here in Canada against the manufacturer. Are you part of a class action in Australia? Thank you for creating this amazing blog. I’ve learned so much. lovely to hear from you – pity about the circumstances. I know there have been some problems with this particular Zimmer deveice but I haven’t seen much lately. You will be able to pull up all the info I have by using the search on my site. It is important not to be too worried as this is not life threatening – just bloody annoying and time consuming in recovery! But at this stage it may be something really precautionary and simple so try to relax if at all possible. Thank you so much for your reply. I saw my GP today and my suspicions have been confirmed. I have fluid collection around the hip joint and a “hypoechoic ill-defined mass deep to the femoral vessels”. The MRI results indicate a pseudotumour of 16cc in volume and fluid collection of .4cc volume. I will see my surgeon on Tuesday and I’m afraid he is going to say I need a revision. I’m quite worried but trying to stay positive. I’ve also contacted the law firm here in BC that has launched a class action lawsuit for residents of BC and have added my name. Apparently they are meeting this week with the Zimmer lawyers to discuss settlements but I’ve not heard the results yet. Will keep you posted. Thanks for your support and your amazing blog! I’m heading to Sydney next Tuesday, it snowed here to day and it’s still quite cold so I look forward to some warmth and sunshine (hopefully). well I guess it is better to know than not to know. It sounds like you have caught it early. I suspect all will work out well now that you are on to it. Staying positive is the only way you can get through this. I know – it is extremely hard and the only way forward is to deal with it and get the poison out of your body. I am so pleased I did. Hi Earl, I’ve enjoyed reading your blog. Lots of useful information but I’m sorry you had to endure so much pain to get here. I have to say I think I may have dodged a bullet when I had my THR last year. My surgeon was at one time considering using a MoM hip replacement because of my age, 40 at the time of surgery, but after I made my concerns known he opted to go with a ceramic head and polyethylene cup. Surgery was uneventful and recovery for the first few months was as expected and I was able to do physical therapy with some interruptions due to some muscle pain with intense flare ups at times. About three months ago I started to experience some pain on my right leg that prevented me from bearing weight on it. Knowing that this pain was different from the pain associated with the IT band mostly that I experienced before, I went back to the doctor’s and they decided to take an x-ray to see if anything showed up. 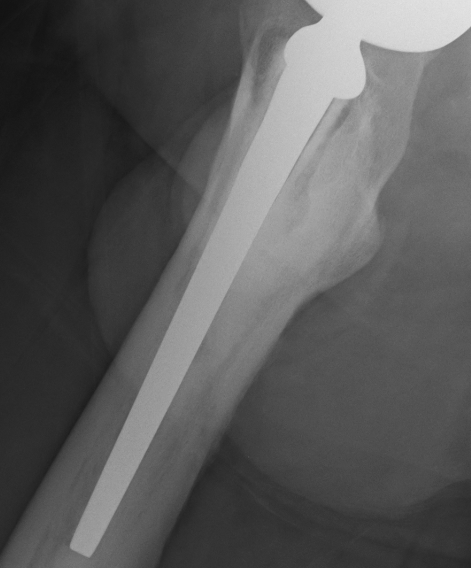 the x-ray showed a periosteal reaction around the femoral bone adjacent to the area of the cementless stem.A blood test was ordered and the lab results showed elevated C-reactive protein levels and sed rates. Fearing an infection I went through a number of tests (MRIs, aspirations and biopsies and a white cell scan) to confirm or deny this fear. This week I finally got the results and it is most likely not an infection that is causing the inflammation and pain but so far we have not found the cause. The seriousness of an infection to a replaced hip is something that I was not fully aware of at the time of surgery so I’m very relieved tha infection has been ruled out however not knowing what is causing the pain has me very concerned still.I think it’s good to share stories because I find that a lot of questions are not often well answered even if your talking to people in the medical profession. It’s encouraging and comforting to hear that these procedures which can be painful and debilitating have positive results in the end. The revision went really well. Better than the initial THR. I ended up with some nerve damage but that seems to be coming right now. Not on any pain killers or anti inflammatory drugs. Good result. Touch wood. fingers crossed than it all goes well with the revision. I am so much better after mine. Wow – i have just come across this blog – I have not digested it all but it is chilling. So sorry to hear of your story. I am 45, in Melbourne Australia. Mitch [cobalt chromium] hip revision in 2008 and has been a nightmare ever since. But my metal levels have in fact dropped in past year and are not seriously elevated. But there must be something seriously amiss which X-rays etc so far have not revealed, apparently, because it hurts like all buggery. With 3 young kids etc it just makes me very angry at not being able to get kids in and out of car etc etc – I was much better off before the operation. It’s even beyond a joke. I have been recommended a ceramic on ceramic hip revision – Du pay delta motion or something like that. Anyway, onward and upward and my regards to everyone on this blog. you need to get it out. I had a S&N version – a total hip replacement though, not resurfacing – but it hurt from day one and destroyed bone and tissue on the way. I got a Zimmer ceramic on ceramic last Sept and I am very pleased with it. Had a few complications and some minor nerve damage but I felt better immediately. Got rid of the sick feeling, the head aches and the absolute pain just like before the first operation. While I struggle to say anything nice about DePuy, the ceramic they use is made by the same company who make the Zimmer ceramic head – a French Company called Ceramtec, from memory, and so it should be fine. Get the poison out of your body and get on with your life – I have a 7, 10 and 17 year old brood so I understand your issues with the kids – I have had 5 years of hell. Thanks for that Earle – I meant to say a Mitch ‘resurfacing’ not ‘revision’ but I think you gleaned that. Very helpful blog. Trying to get my head around all of the information. I am a 46 year-old active male and I am only at the beginning. I went to a chiropractor (who I see on occasion for minor low back discomfort). I told him of varying levels of pain in my left hip joint, which are not bothersome for the first half of the day, but by evening are quite painful (upon bearing any direct weight). The doctor took x-rays, and said essentially I needed to see an orthopedic surgeon as, in his opinion, both of my hip joints were “shot”. He attempted to point out the missing cartilage on the x-ray, but I am taking his word for it. As anyone who believes they are too young for such a procedure, I have been doing voracious research in trying to determine the best course for me. I know from stories by friends and relatives that doctors can often make less than optimum decisions regarding techniques or components involved in joint replacement, so I thank you very much for this information. Although I have not had my appointment with my orthopedic doctor, I am hoping and will be advocating a resurfacing. However, it does not appear that this can be done with ceramic, only metal (which i suspect would be cobalt chrome). I am still researching, but I hope for that I can get the resurfacing for its advantages, yet still avoid the metal-on-metal design this usually entails. In the meantime, I have been biking 10+ miles daily and ing leg exercises in the hope hat this will speed up any rehabilitation. If you have run across any novel resurfacing designs in your web searches, I would be grateful for any links. Further, so as to minimize problems and complications, if you have any general advice for me as I begin what I hope to be a low-complication ordeal, I would be in your debt. NB: Good idea to have forum for people on this subject… Look forward to seeing it. Unfortunately our generation has done too much repetitive exercise and we have worn our joints out. I was 48 when my hips gave up and I couldn’t walk. I have done very extensive research and there is no benefit from resurfacing. There is a lot of hype around it but I can find nothing that supports it having any measurable benefit either in speed of recovery or long term. In fact there are about 200,000 people around the world with a timebomb ticking and, from what I will see, they will have a revision 5 – 10 years earlier than they should have. DePuy ASR’s are up to 50% failure at present. 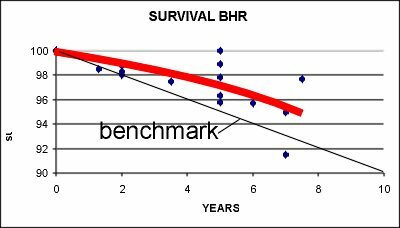 And there is some evidence (search 26 percent on the blog) that failure rates are way higher with the BHR than Smith and Nephew would have you believe. Admittedly this is mostly due to metal on metal. However, even if it was ceramic I still can’t see any evidence to suggest that resurfacing is anything but an attempt by certain parties to market a solution which is not required.THR’s are just as good. I would however investigate the anterior hip replacement as this does not cut the hip muscles and the recover is very quick as a result. However, not many surgeons do this as it is a much more difficult procedure for them. Bottom line – I am really happy with my Zimmer ceramic on ceramic – wonderful range of motion & I have no pain killers any more. I think the modern ceramic on ceramic is the best choice by far. I would not touch resurfacing with a barge pole. August 2012, Back to the surgeon again, yes it is swollen, referred to an “Expert” in Auckland, one of the best in field, “You have an infection in hip due to initial op in 2007” explains procedure, – 2 operations, 6 months recovery, worst case scenario explained to me , hit with a sledgehammer!! then had a 6 hour drive back home. yes – lots of common ground I can see, and I am a Kiwi too. First operation Auckland. Second one here in Australia on the Gold Coast, along with all the other Kiwis’s! My nerve damage from the revision is still there, but apparently improved according to the nerve conduction studies – nerve speed is OK but amplitude (signal strength) is still reduced. I almost walk normally now after 14 months. My surgeon told me it was stainless steel – and when I had it done in August 2008 there was already plenty of information available that it was actually not stainless steel but cobalt chrome – and that this was a problem – but I guess my surgeon didn’t read much? If I knew then what I know now I would never have agreed – so that is the purpose of the blog to inform others so that they do’t get sucked in by surgeons who are “unaware”. I like my new ceramic on ceramic hip – and when I finally can’t walk again, I will get the left one done with ceramic on ceramic too. I only have about 30% of the cartilage left – fortunately at the top of the joint, so it can still bear some weight. I will put your story up on the main blog so others will learn from what you have been through. I had a Depuy Pinnacle (MOM) total hip replacement in Dec. 2007 due to osteoarthritis at the age of 56. I was told that metal on metal was the preferred implant since I was young, thin and fit. In fact, this remarkable implant might even last my lifetime! Eighteen months later, I was diagnosed with level one chronic lymphocytic leukemia. I had every test imaginable regarding the leukemia and there were chromosomal abnormalities or deletions; however, never having a baseline study, it would be a stretch to say that there were changes. A friend alerted me to the dangers of cobalt and chromium poisoning in 2012 and I requested the blood test, yet my surgeon did not encourage it as I was not symptomatic with hip issues. Both minerals tested were elevated but I was told they were not dangerously high at the time. One year later, I requested to have the mineral blood test again so the results would be available for my annual appointment. Levels had risen significantly and I was having groin pain, hip pain and stability issues. The orignial surgeon suggested a total hip resurfacing at some point, but certainly immediate surgery was not emphasized. I went for another opinion and that surgeon made room in his surgery schedule that week so that the Depuy Pinnancle could be removed. My question is this: Are there others with metal on metal hip implants who then were diagnosed with blood cancer? I find it more than coincidental, yet when I ask medical professionals they state that there are no definitive studies linking the two. I’m wondering if you are still maintaining this blog. I would like to write of my experiences, four surgeries worth, but the posts seem to end last year or the year before. I understand perfectly if you have just gotten tired of the whole thing and have sought to move on. If I get no reply I will assume that this has happened. We do have alot in common including S & N hardware, elevated Cobalt/Chromium, etc. Including a lot of pain. my story is ongoing but I have not added anything to the pages. The main blog is active and I am still publishing each week – you can see the latest posts on the home page. It would be great to publish your stories. There are still 200 – 300 visits a day to the blog. Been a little busy, still have hip and revision issues. Love to publish your story. I.m 54 years old and have had both hips replaced. I had severe congenital dysplasia. 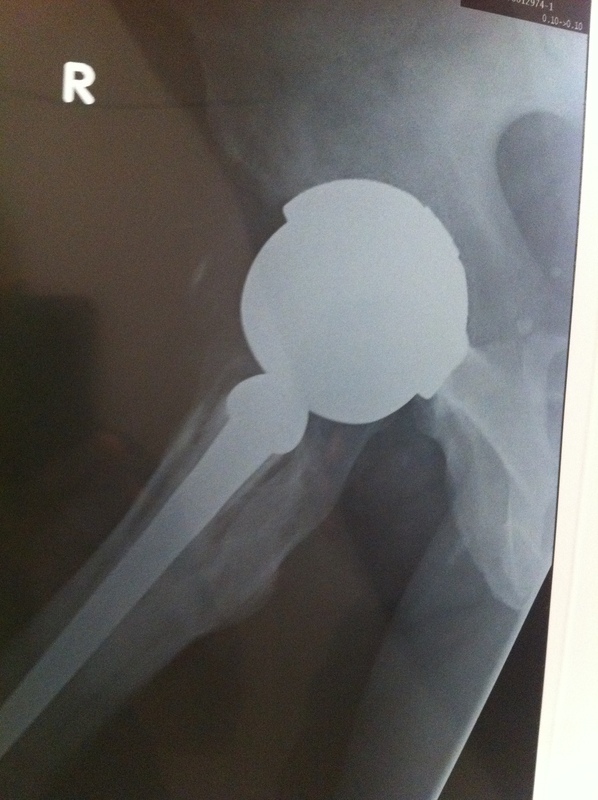 The right hip was bad enough that I was sent to a specialist for a custom hip. That Dr has long since relocated in Houston. My right hip was done nearly 15 years ago, and it has always been painful to sleep on that side. There were cables used on that hip, and not on the left. I’ve always thought that the wires were causing the pain. Because my back often hurts now, I find myself waking up, laying on that side, and it is extremely painful to walk on nights that this has happened. I have an ortho appointment tomorrow. Does any of this sound familiar? sorry to hear about your long-term medical issues. I have an idea how you feel from my own experience. As I understand it, mild dysplasia was the start of my problems. I’m not to sure about the wires – I have them in my revised hip and not sure I notice them but that may explain why I still have trouble lying on that side? So, you experience does sound a little familiar – do you know what they made the custom hip out of? You can email me directly on earl.stevens@gmail.com if you like – there may be a time delay as I am in Australia. Earl – what was the highest level of chromium / cobalt you reached? Mine was relatively low – twice the normal range.